Here you will find all of the popular neighborhoods of Daphne AL. By clicking on the links below, you’ll see additional information about the neighborhood as well as all of the available homes that are for sale in each neighborhood. Austin Bridges – Located in central Daphne, this well-established neighborhood is very quiet and offers custom built homes. Austin Brook – This is a very attractive neighborhood that is centrally located in the city. Homes typically range between 2,500 and 3,400 square feet. Nice neighborhood amenities. Austin Park Estates – Homes big enough for large families. New construction and slightly lived in homes in this neighborhood. Avalon – Nice looking subdivision with homes that were built between 2003 and 2016. Properties are between 2,000 and 4,200 square feet. Bay Branch Estates – Large community with homes priced between $100-$110 per square foot. Near tons of shopping. Bay Branch Villas – Affordable homes located off of Hwy 90 near Malbis. Bay Ridge – Ready to buy your starter home? This neighborhood is perfect for the first time buyer with its small footprint and modest prices. Beau Chene – Luxury living in a heavily wooded, gated community. Belforest – Great properties on large lots, in a country setting. 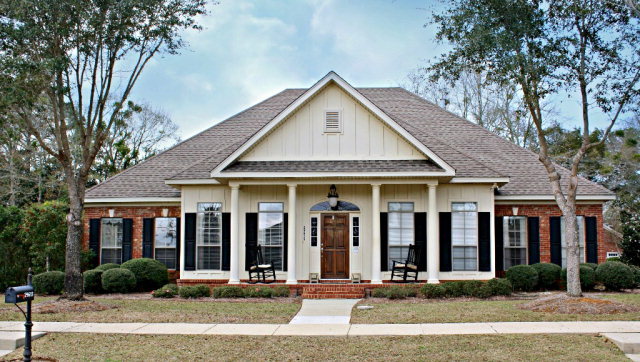 Bellaton – This is a very popular neighborhood in Daphne with many available floor plans. Price per square foot ranges between $115 and $130. Brookhaven – New construction in Daphne! The typical home in Brookhaven has 4 bedrooms and around $300,000. Canaan Place – This community is centrally located in Daphne and offers brand new and pre-existing homes. Canterbury Place – Home prices are at approximately $100 per foot. 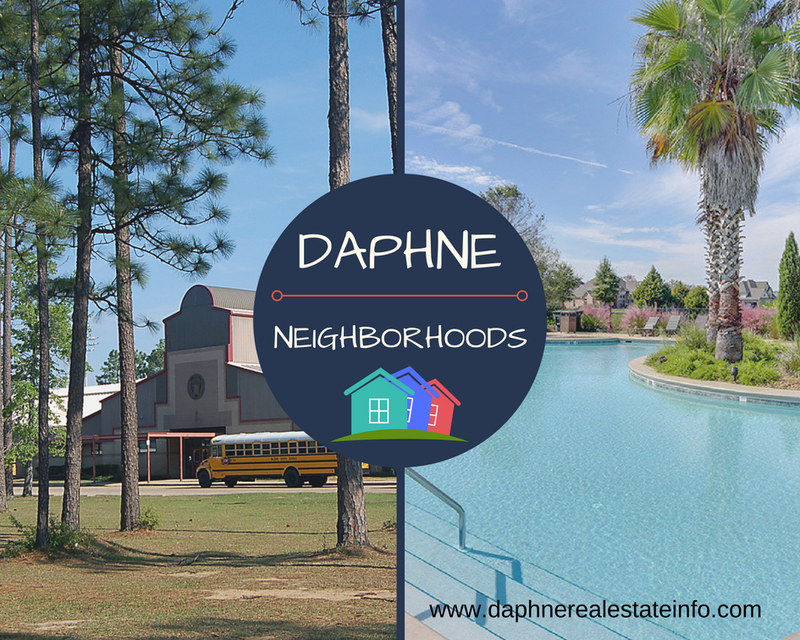 This neighborhood is across the street from Daphne High School and convenient to shopping. Caroline Woods – Located in the east section of the city, yet still close to shopping. New construction. Deerwood Square – At an average price per foot of $105, this neighborhood offers affordable living in Daphne. Homes have 3 bedrooms and 2 baths with 1,500 to 1,800 square feet. Dorsey Woods – Who says you can own a great home at a good price in Daphne? Here you’ll find 3 and 4 bedroom homes priced in the low $200’s. Dunmore – Large neighborhood with many options to choose from. 3, 4, and 5 bedroom homes that are brand new and fairly new. French Settlement – Lovely community with a distinct style. Close to Daphne Elementary and Middle Schools and Al Trione Sports Complex. Historic Malbis – A large and unique subdivision that is near the border of Spanish Fort. There are many different floor plans and styles. Price per square foot ranges from $100 to $150. 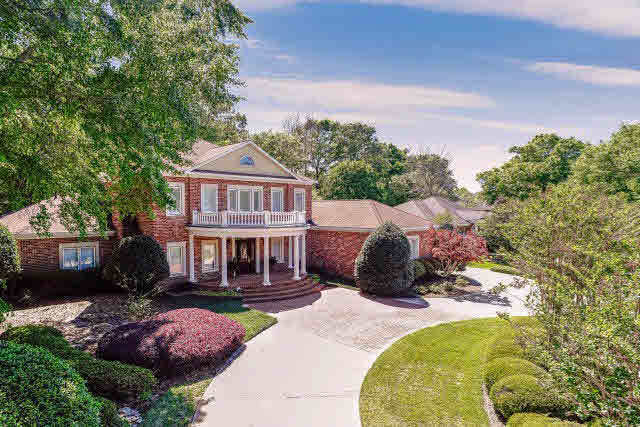 Lake Forest – This huge neighborhood is heavily wooded, has varying elevations, and is situated around a golf course. The homes here are priced at a very affordable average of $90 per square foot. Oldfield – You’ll find brand new and fairly new homes with 3,4, and 5 bedroom options. Overton Place – Most of these homes were built in the 2010’s that are priced at around $110 per foot. Plantation Hills – Here you’ll find an established neighborhood with homes built in the 90’s – mostly ranches. The average price per square foot is $97. Sehoy – Sehoy is a popular neighborhood with attractive homes ranging between 1,700 to 3,000 square feet. Heavily wooded with a nice lake. Stratford Glen – This is a popular neighborhood near the YMCA, Al Trione Sports Complex, and Daphne Middle School. These are priced in the low $200’s. Timbercreek – Welcome to one of the most attractive subdivisions in the county. There are many different floor plans to choose from in this sought after neighborhood with pricing at around $133 per foot. Well-appointed, championship golf course. Whispering Pines – This neighborhood has some of the lowest prices in Daphne. Located in between the YMCA and Hwy 98.